Things started in the past 20 years, and the trajectory of the graph is shocking. 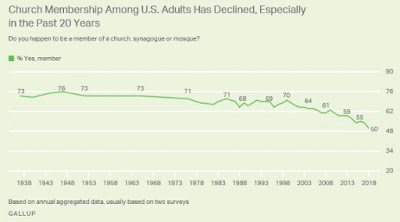 I'm not sure how all of this will ultimately manifest itself in our society, but I have the fear it will not be good. Here's to great men and simpler times. The Agony in the Garden - Here Jesus knows his fate, yet is seeking a miracle to save Him from it. Likewise, he's betrayed by a dear friend - someone he loved and trusted who ultimately wronged him in one of the worst ways imaginable. The Scourging at the Pillar - Jesus is brutally beaten to within inches of His life and suffers physical pain most humans would never have to endure. The Crowning With Thorns - Jesus suffers both the physical pain of the crown, but the added pain of ridicule and rejection. It starts with soldiers teasing and spitting on Him, and ends with an entire crowd screaming, "Crucify Him!" Carrying the Cross - At this stage Jesus encounters His mother, and sees how His fate is impacting her. The emotional pain of watching one we love so much suffer so much had to be equal to the physical pain manifested in carrying the cross. The Crucifixion and Death of Jesus - His was not an easy, quiet death. It was long, painful, and torturous. When we think about our individual suffering and what we endure as part of our human lives, pretty much any of our suffering kind of fits into one of the Mysteries above. No, they may not be in perfect alignment, but they're close. Hence, when we pray and tell God of our suffering and ask that He understand, we can be assured the He understands quite well. He has walked a similar path, He knows our pain, He's felt it all. That may not take away our suffering (which in itself remains a mystery of both life and faith - why must we suffer? ), but sometimes when mired in what can at times be something that is unbearable it helps us to talk to Somebody who has endured similarly. How is she not right about all of this? On the day after Uncle Sam gets his paperwork, it seems only fitting to discuss how incredibly broken our tax system is. Its complexity is a scam designed to have the poor and/or unintelligent pay more than they should. There's no other answer. A moderately complex return took me approximately 8 hours total to complete and over $125 in software. Had I taken some easier paths it would have gone a lot faster and would have been a lot more expensive. Likewise, without the software, I have no idea how long it would have taken me - likely three times longer or worse, and it's painful to even consider. Given the difficulty of navigating the process, it is hard not to feel like the government is ripping us off. Because they are. Spare me the "civic duty" and "benefits of living here" talk. The process should be a lot more simple and is clearly hurting people. That's wrong. And these are the same people we want in charge of our health care. God help us. It's a bittersweet day today. Today we close on the sale of our cabin on Leech. Twelve years ago, we bought the cabin where our family traditionally stayed at a resort since I was a little kid. Over our ownership we've hosted may friends and family, caught a lot of fish, and overall made wonderful memories. So why did we sell? A lot of reasons, but the primary being we've moved to northern Minnesota and live on a lake, making the cabin on Leech quite redundant. Likewise, the ownership board of the resort became extremely activist, and we were looking at being forced to make significant changes and upgrades to the cabin. The net result would be that it would no longer be our cabin, kind of in more ways than one. The good news is that the cabin will be available for rent, which we'll absolutely do as long as friends and family choose to join us. The bad news is that when we stay there, it technically will no longer be "ours." It's said that under duress one should go to their "happy place." For me, I'm about 7 or 8 years old, and I'm sitting in the living room with my siblings. In the kitchen are parents, grandparents, uncle, and friends, and they're all laughing so hard. While I admit it's hard to sell one's happy place, I'm not selling those memories or the hundreds of others that were created there. And guess what? We were renting the place when we made a lot of those memories, just as we'll do going forward. In an act of unspeakable cruelty, Mother Nature plunged Minnesota back into winter at a time when we finally felt like spring might be here. Indeed, flocks of robins are in the area, and geese are sitting on nests. I'm no fan of the NBA. Last Saturday, I completed a 5k in Vergas. That's Vergas. In Minnesota. Not Vegas. Speaking of goat poop, since the course was "out and back" I got the pleasure of dodging goat poop for most of the last mile. Turns out goats poop a lot at the start of a run. Just another average Saturday in northern Minnesota. It has been a very, very long winter. A buddy at work whom I deem a peer just had a milestone birthday this past weekend. He turned 40. I'm nearly 15 years his senior. I don't know how time started moving so quickly, but it has. When I think about the chronology from a career perspective - the jobs I've held and the moves I've made - it all makes sense and it doesn't feel like much time has passed at all. When I think about it from a pure age standpoint, I feel like I'm missing 10 years. I don't feel as old as the reflection in the mirror belies. Indeed, from a physical standpoint, I could effectively argue that I'm in much better shape than the version of me from a decade ago. Hence, what I feel I am is a lot more aligned to my buddy at work than it is to what I truly am. The years have gone way too fast. I'll be 55 in half a year. Fifty-damn-five. A classic takedown of college students' abject love of Socialism. This last vacation found us with a lot of time by the pool and on the beach, and normally, I'd be pretty self-conscious in those situations. I'm in just OK shape, and am carrying around too much weight, and that usually leads to a reluctance to strip off the shirt and hop into the water. I'm no longer the fat guy at the beach. In fact, I'm kind of far from it. There are some people roaming around that are greatly improving the curve for yours truly. And if they're not going to be self conscious about it, the hell of I will. Well, not really, but at least I feel a little better about it. Pretty shocking to see - especially since we're not in Green Bay! When I awoke this morning at 4:30, I was already suffering from a decided lack of motivation. In my every other day rotation of running/going to the gym, it was a run day, and my body was having none of it. Some days I'm eager to run - damn near giddy. Some days it's a chore to get going. This was way more than a chore. Glancing at my phone, I did get my weather report, and while it was a better than usual temperature at 32 degrees, there was a 15 MPH wind from the north. Likewise, about a half inch of snow fell and stuck on the road. Nice if it's December. Not so nice for April, especially for someone that got used to running in 70-degree weather last week in Florida. Despite the lack of motivation, I got my winter gear on and my safety vest, and out the door I headed. I started my warm-up walk and got about 50 yards down the road. The wind at my back was cold, and I knew it'd be uncomfortable with it in my face for half my run. Likewise, my feet were already slipping on the fresh snow, and I knew I'd be getting very little torque in such conditions. That means a lot of work for little speed/distance. I turned around and headed home. A cup of coffee and a leisurely breakfast was kicking the living tar out of my current conditions. I made my way to the driveway, where my thoughts of coffee had been replaced with a stream of self-loathing and disappointment, so I turned around. How many runs did I not want to do, but did them anyway and was thrilled with the results upon it ending? Buoyed by my pep-talk / chewing out, I spun around and headed back down the road. About ten feet into my new direction, I was hit by a big gust of north wind and found that my recently instilled motivation wasn't very strong. Thus, I'm sitting here penning this - warm and comfy and enjoying a hell of a cup of coffee. Still, I feel guilty and feel a failure. I need the workout as I'm running a 5k this weekend. Today was to be my last run ahead of the race. While I ran on Monday (and had a great run), it will now be 5 days between runs, which is not optimal. We'll see how it translates on race day. For right now, it's good coffee, served with a massive side order of guilt. 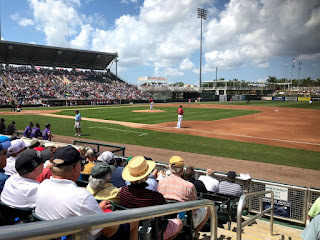 Having just returned from Florida and having attended two spring training games while down there, I wanted to pen what I felt was good and bad about the experience while it was still fresh. Hammond Stadium - The place feels new, is clean as a whistle, feels intimate, and has great sight lines. The only down side is that it does not have a lot of shade. Pretty much that's the only bad thing about it. Player Proximity - Given the field layout, one has really good proximity to the players. You really feel part of the on-the-field experience. Spring Baseball - It is just so damned nice to be outside in March and watching baseball in your t-shirt. Foul Ball Odds - Players are throwing balls into the stands left and right. I even ended up with one (and summarily handed it off to the kid that missed it in front of me). If your kid wants a ball from a player, depending on where you sit, your odds are good. Beer Selection - I'm a beer snob, and their selection was great - both with local brews, as well as imported Twin Cities craft beers (Fulton had a significant presence). Parking - It's an easy in and out, and while the $10 seems a little much, it really is hassle-free. Help - People that work at Hammond Stadium seem genuinely happy. Smiles will greet you and there's always a good word. It is an awesome, pleasant experience. The Game - It's not really a game. Top tier players don't play much, and some of them will dog it down to first on an easy out, so it's not a pure pro game. Beer Prices - Ouch. Bring lots of cash. 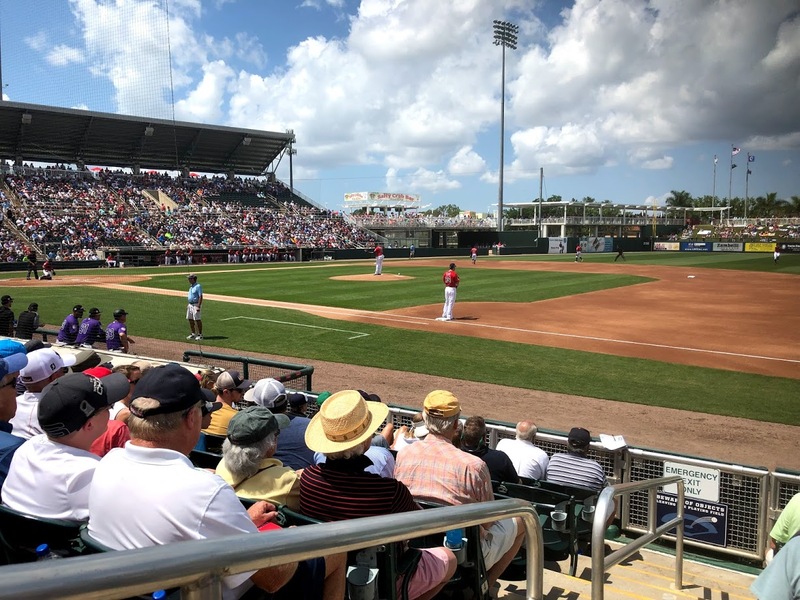 Obviously, the good far outweighs the bad, and a trip to Fort Myers to see the Twins is a fantastic time. For any true Twins fan it is really is bucket-list type stuff. Up here in "The State of Hockey," we're on the cusp of missing out on the NHL playoffs. For a league that invites nearly everyone to the post-season dance party, to miss out completely belies a truly special level of lousy hockey playing. Oh, sure, they lost Dumba for the season. However, even with him, I doubt the playoffs would be in reach. 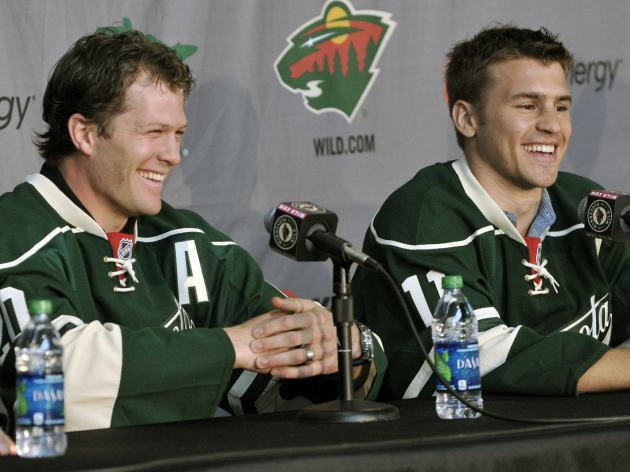 This is a gutless team that is content to be just OK. Parise and Suter are the poster children of "Just OK" despite having contracts that are among the league's richest. They have become financial albatrosses that doom this team to mediocrity for years to come. It's like having Joe Mauer and his contract with the Twins, but having two of him. Terrible. Thankfully, the Twins look like they'll be entertaining, and we're mere months away from Vikings training camp. Still, a sad state of affairs for "The State of Hockey." Hell, I think he'd make a highly successful, "hands on" President.